After missing for a couple years from any directorial projects, Zack Snyder is coming back with a new zombie film, Army of the Dead. 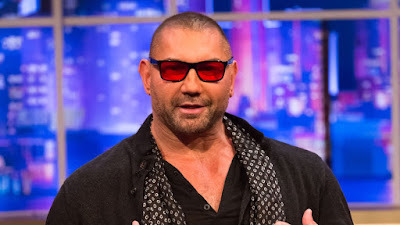 And Dave Bautista is the first cast member to join the upcoming movie that brings Snyder back to the world of the undead. The plot follows a crew that's planning a major heist while the zombie apocalypse is happening around them. Snyder has been developing the project since 2007, but is now finally finding time to get it done since he's free of the DC cinematic universe he helped launch. The film is planned for a Netflix release with a $70-90 million budget. Bautista is said to be the central focus of the film. Snyder directed 300, the Dawn of the Dead remake, Batman V Superman, Sucker Punch, and was obviously involved in the tumultuous production of Justice League.